Special interview with Ástor García, General Secretary of the CC of the Communist Party of the Peoples of Spain (PCPE). IDC: According to your party's statement the dispute in the Parliament, between the People's Party (PP) and PSOE, consists the result of a competition between differents parts of the capital. Do you think that the big capital wants new anti-worker, anti-people reforms that a PSOE government under P. Sanchez premiership could implement easier than the previous government? If yes, could you briefly tell us what kind of reforms the new government is planning to implement? 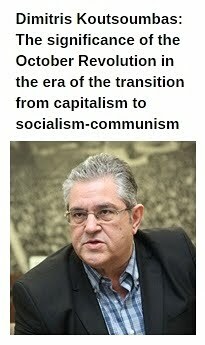 A.GARCIA: The exit from the capitalist crisis has been possible thanks to the intensification of exploitation. In Spain, the labor rlights that had been achieved in the previous decades have been seriously regressed. Social rights have suffered hard blows. The wealth has been concentrated, as never before, in the hands of a small bourgeoisie, while the vast majority of the workers face serious difficulties in satisfying their most basic needs. Poverty grows and wages and pensions aren't enough for living. The new cycle of capital accumulation that has been initiated in Spain requires a constant intensification of the exploitation of labor power. During the last months, social struggles have been intensified. A new process of mobilization started with the participation of millions of people. Women, pensioners and students took a step forward and the main trade unions prompted mobilizations aimed at bringing together all these struggles in a general strike. The unrest over the serious cases of corruption which directly affected the government of Mariano Rajoy kept growing. This is the framework within which the PSOE presented the censure motion. With a PP government the social conflict was unavoidable. The General Budget for 2018, with which the bourgeois class had laid the economic foundations that would exist until the end of the term of the current legislature, had been approved the previous week. The new PSOE government has accepted these budgets, which are tremendously reactionary and, therefore, the economic policy is not going to change under Pedro Sanchez. The new government will try to approve some symbolic measures aimed to calm the popular discontent and to deactivate the struggles that began in the previous months. For example, it is foreseeable that they will try to modify some aspects of the so-called “Ley Mondaza” law, which allows a-without limits- repression to the workers-people's movement. In any case, the essence of that law will be maintained. They are not going to modify the labor reform either. We will see a whole series of gestures aimed at inactivating the struggles, in order to redirect and integrate them into the parliamentary debate. The government of Pedro Sanchez comes in order to to guarantee the social peace that the bourgeois class needs at the moment and to facilitate the reorganization of the polical system which has been taking place for years. Pedro Sanchez (left) with Pablo Iglesias of Podemos. 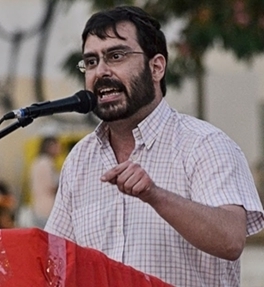 IDC: In a statement earlier today (ed: the day of the governmental change), a member of the Political Bureau of SYRIZA stated that "today is a good day for the people of Europe" and hailed the governmental change as a victory of the "progressive forces" against the "neoliberal and corrupted Right". You know the role of SYRIZA's social democracy in Greece and the results of its policies. Do you believe that Pedro Sanchez is a kind of "Spain's Tsipras", and will try to entrap working people and popular strata in new illusions? 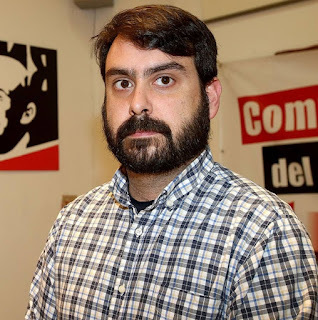 A. GARCIA: In Spain, the Socialist Party (PSOE) faced the serious danger to have the same fate as PASOK, but it finally managed to survive thanks to Pedro Sanchez. 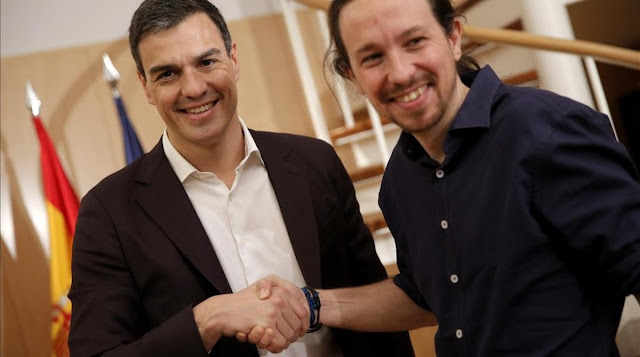 Therefore, the respective role of SYRIZA in Spain is played by the alliance between the Socialist Party of Pedro Sanchez and Podemos which supported the motion of censure without demanding anything in exchange; they even asked to participate in the new government. It is an agreement between the old and the new social democracy. It isn't a surprise that [this agreement] is hailed by forces like SYRIZA. However, the new government of the Socialists in Spain will be very weak, taking into account that with Podemos' support only there will not be the needed parliamentary majority. The political system needed a stimulation and PSOE functioned as a tonic. 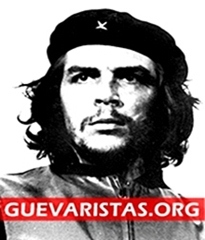 At the same time, nevertheless, as we mentioned, in the capitalist staffs new antiworker people are being prepared and the party of Ciudadanos- a kind of political Right's refoundation- is being shamelessly strengthened by the monopolies. The new correlation of forces that is developing will be crystallized in the next general elections, which will be called when Pedro Sanchez thinks that there are hopes for the choice of social democracy to move forward. At that moment, the working people will face a new electoral blackmail: either to support the forces of social democracy, or to risk a government of the hard Right, expressed by the alliance between Ciudadanos and the People's Party. They will bring the workers-people's movement in front of the old dilemma to choose the lesser evil. IDC: You have called the working people to intensify their struggle without placing any hope to the new social democratic government. 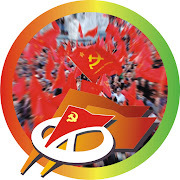 What are the major initiatives you are undertaking as a Party towards the organization of the workers-people's movement and, taking this opportunity, what message do you want to send to the communists and the working class of Greece? A.GARCIA: The Communist Party does not forget the role that the Socialists (PSOE) have played in our country. We know them perfectly. Felipe Gonzalez came to the government with the slogan “NO to the accession to NATO” and four years later Spain joined NATO. He was talking about social rights, but at the same time he continued the negotiations for the integration in the European Economic Community, he imposed with “blood and fire” the so-called “industrial reconstruction”, destroyed the labor rights which had been conquered in the previous period, strongly suppressed every social challenge, used state terrorism and sent the spanish army to fight in the new imperialist wars which followed the triumph of the counterrevolution in the USSR. The role of the Socialist Party was decisive for the position of Spain in the imperialist chain and the modernization of spanish capitalism after Franco's regime. The next government of PSOE under Rodriguez Zapatero followed the same path, implemented the policies demanded then by the capital and, in the midst of the capitalist crisis, granted to the monopolies large amounts of capital through state investments. Zapatero's social democratic rhetoric ended with a constitutional change, commonly agreed with the People's Party (PP), which introduced the principle of budgetary stability in the article 135 of the Constitution. Previously, in 2010, they had approved a labor reform which favored exploitation, the generalization of temporary contracts and the new forms of labor insecurity, which were furtherly strengthened by the People's Party in 2012. They did the same also with social security by increasing the retirement age limits. The Socialist Party of Pedro Sanchez will follow the same path: a policy that aims to deceive the people and a management that will benefit the interests of the capital. There are no illusions with PSOE. This is the reason why we are trying to mobilize the working class, so that the new government will not be given a minute of respite. In the next months, our Party will focus on the working class, to discuss seriously the path that must be followed. In the labor places and trade unions it is necessary to be realized the need to follow an independent path, based exclusively on the interests of the workers of our country, on the basis of the needs of the large popular majority. 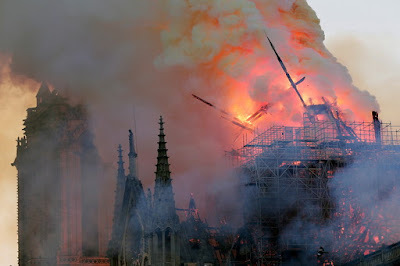 If the leaderships of the trade union organizations choose to put obstacles to the process of mobilizations that began, they will commit a serious irresponsibility that will have serious consequences. The social presure must not be reduced. 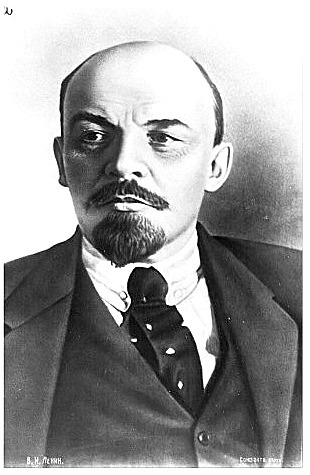 Only the decisive and organized struggle will achieve victories and new conquests for the workers' movement. This is the reflection that the communists convey in the places of labour and study, in the working class neighborhoods, in the trade unions. 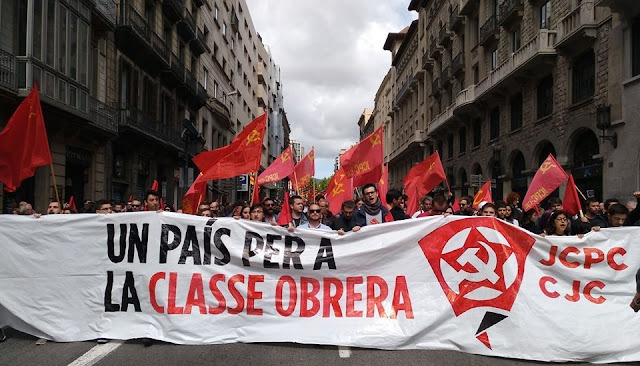 The workers' movement must not be trapped by the PSOE nor by forces like Podemos that follow it, which in turn are being followed by the remnants of older forces deriving from eurocommunism. Either we fight hard for a country with the working class on the forefont or, otherwise, the times we will face will be extremely difficult. The political system is being reorganized in order to press even more the workers-people's movement and intensify capitalist exploitation to the highest extent. The alternative solution isn't the reform of the political system within the framework of bourgeois democracy, as the old and new social democracy argues. This reform is impossible in the present phase of capitalism, it is an illusion, it is a trap, it is a deception of the people. 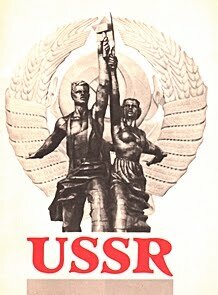 The workers' movement must be regrouped, must be reorganized, must build a plan for the country based on a new kind of power, the workers' power. For that reason, the Communist Party is necessary to continue being strengthened, so that it can fight politically and ideologically against all bourgeois forces which try to move the workers away from this path. Capitalism isn't the future. The Party is trying to increase its power in the workers' movement, in the labour places, in the strategic sectors of production. 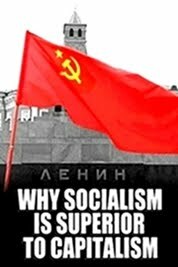 Its there where the concentrated social forces exist, which will play a decisive role for our country's future, a socialist-communist future. I remember when SYRIZA came to the government. While the whole spanish left was seeking a photo with Tsipras, in Greece only the KKE raised its voice and warned about the character of the new government – for that reason the KKE was harshly attacked. That period we didn't hesitate to publicly place ourselves in favor of the KKE, that was our proletarian internationalist duty and, moreover, we were convinced that the Greek communists were right in their analysis about the role of the SYRIZA government, as it was also proved in practice. The principled position that the KKE had was a big lesson for us, which helps us to deal the new developments in Spain with the needed strategic clarity. 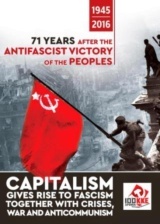 Recently we participated in the events for the 100th anniversary of the KKE in Athens. I don't want to miss the opportunity to congratulate the pioneer communists of Greece and their Party. 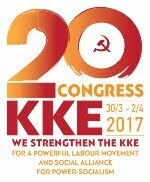 The KKE, having a history of 100 years, is the youngest party in Greece, because it represents the socialist-communist future that is going to come in both Greece and Spain. The communists of Spain will be by the side of our Greek comrades in the harsh and decisive struggles which, undoubtedly, are being unfolded in front of us.